What are the hottest digital marketing tools you should be using in 2019? As we test out a lot of online marketing tools, we are going to share the ones we use on a regular basis. 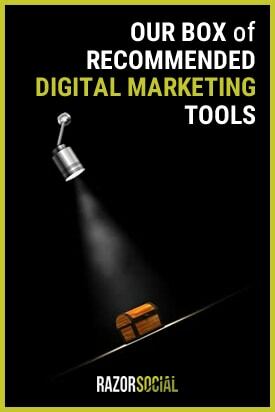 This may not be the definitive list of all the best digital marketing tools out there, but it is the contents of our well-equipped toolbox, and it’s definitely worth your consideration. Marketing automation is a big growth area and if you haven’t invested in a tool now is the time to do so. Let’s look at some numbers. Many marketers choose to invest in MA because it gives them the ability to generate more and better quality leads. Research shows that companies that use these tools generate leads have a 53% higher conversion rate on average. And this is just one of the many areas where marketing automation can super-charge your results. We use Ontraport for most of our marketing automation needs. 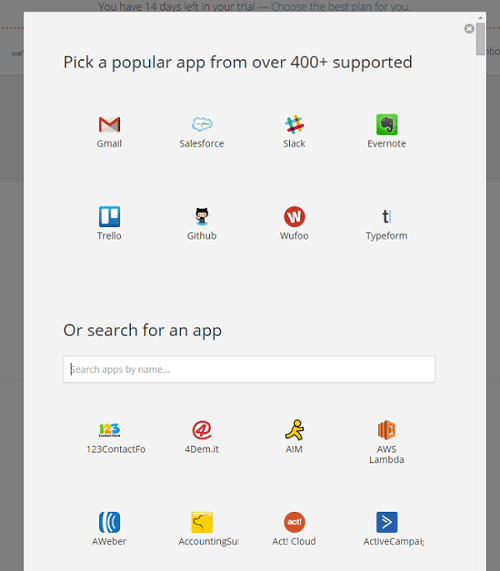 We also like to use Zapier which links hundreds of apps and helps us automate repetitive tasks. Ontraport is a powerful email marketing automation platform. It’s not cheap so it’s only really useful if you have the potential of generating revenue online. You can build quite advanced marketing automation email sequences that can be very beneficial to generate more sales for your business. When you want to build up campaigns for sending emails, triggering events etc you can use their campaign builder tool which is easy to use. As well as building all the emails and automating the sequences you can also set up the sales pages and collect the money! It integrates with platforms such as Stripe for payments. The user interface is not perfect and the product is slow to use but it does have some great functionality and it’s been really reliable for us. Getresponse is an email marketing tool but also includes support for landing pages and webinars. It’s great to get the webinar functionality included as part of the standard pricing. Ontraport provides a more expensive solution and can cater for really advanced marketing automation but if you want something that is still powerful, simple to use and less expensive Getresponse is a great alternative. Their Autofunnel feature is awesome. Checkout page – It automatically integrates with payment providers such as Stripe and Paypal. Split testing all of the above! This is really powerful functionality, so worth checking out Getresponse. Zapier is a useful tool for automating your marketing tasks. It connects different online services and lets you automate the tasks between them by using Triggers and Actions. An example of zap can be – When I receive a new email (the trigger) in Gmail, send me an SMS message (the action). You can connect up to 9 social networks and other online services (called ‘apps’) to your account. Currently, there are 500+ apps and services you can choose from. You can use pre-made zaps and personalize how they work for you, or you can set up a new zap from scratch. They recently added multi-step zaps where you can set up a chain of automation. For example, automatically send a tweet based on a trigger, and then automatically store that tweet in a Word document. If you’re interested in account-based marketing there are some useful integrations also (e.g. Adroll). The best thing about online marketing is that you can have a complete understanding of which marketing tactics are bringing results and which are a waste of your time and resources. Testing, analytics, and optimization of your marketing activities are critical to success. Thankfully, there are some great marketing tools out there to help you with that. If we had to suggest only one tool to help you track the effectiveness of your campaigns, as well as the performance of your website, it would be Google Analytics. This tool is completely free to use and it gives you insights into everything that happens on your website – from visitor behavior and characteristics, traffic sources, page views and bounce rates, to conversions and referrals. Google Analytics also integrates with AdWords allowing you to measure and optimize your campaigns. Other useful features include sentiment monitoring and trending topics analytics, mobile app analytics, event tracking, and much more. Don’t leave home without Google Analytics! It’s an essential tool to measure and optimize the performance of your digital marketing. Visual Website Optimizer is a tool for performing A/B and multivariate testing. Unlike some other tools that entail a steep learning curve, it is quite easy to use – you can set up and run tests in minutes with little or no help from IT. This means you can run tests without having to make changes to the underlying code of the page. To use the tool for A/B testing, you just copy-paste a code snippet in your website once and you can create unlimited tests anywhere on your website. VWO has a drag and drop interface allowing you to easily change and update any element of the page. VWO lets you track revenue, signups, clicks, engagement, or any other conversion goal. Hotjar is a tool that offers some interesting metrics that you cannot get from Google Analytics. It shows the behavior of your website visitors via heatmaps, click maps, scroll maps, and visitor recordings. Visitor recordings is a very useful feature. It lets you see how visitors behave on your website, capturing their clicks, taps and mouse movements. Hotjar also lets you analyze your funnel to find opportunities for improvement. Other useful features include Form Analysis for improving form completion rates, Feedback Polls to help you better understand the needs and wants of your website visitors, and Surveys to help you collect feedback from your visitors via web links or emails. Brand24 is a social media monitoring tool that allows you to track mentions about your brand, or your competition, across social media platforms, blogs, forums, photo sites, etc. To start using the tool you need to set up the keywords you want to monitor. You can also add negative keywords and limit the sites you want to monitor. Then you can track mentions through Brand24 apps for iPhone and Android, or through email alerts. The tool also allows you to create a colorful status report, export your report to Excel, or automatically produce an infographic-style report. Sentiment analysis is also available, so you can filter by positive, negative or neutral mentions. Here’s a list of content marketing tools that we use and that can help you get started creating a great content marketing program. 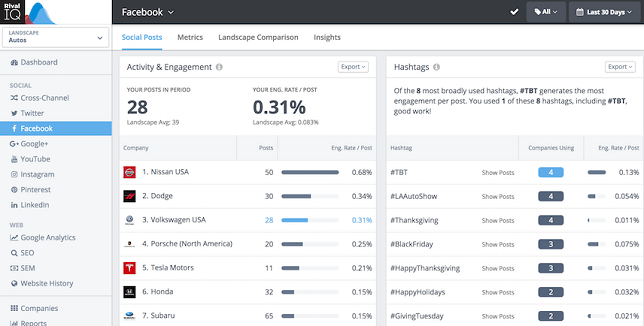 Buzzsumo is a tool for analyzing what content performs best for any topic related to your business or niche. You can enter a keyword and find the most shared content related to that keyword. It shows not only the number of shares but also a list of the most influential people that shared the content. BuzzSumo is great for discovering the most popular/shareable content for your website or your competitors’ websites. It has a nice set of filters so you can choose to see results based on date, type of content, or by language or country. Another useful capability of BuzzSumo is that it lets you see backlinks on any piece of content with additional information about the sites that linked to it, such as Domain Authority, the number of followers, etc. Identifying popular content on your site and your competitors’ sites is really useful because it shows you what type of content you should be producing and sharing more of. Hawkeye is a content intelligence tool that can help you research content ideas and topics so you can identify opportunities for creating content that truly resonates with your audience. Here’s how it works. You just enter your keyword into Hawkeye and it will show you a breakdown of word count versus shares. 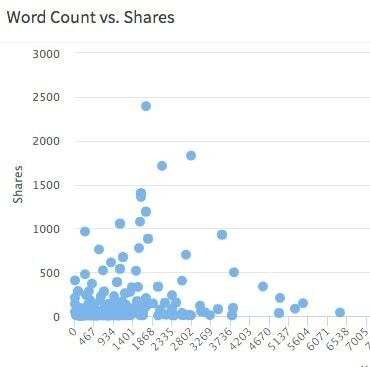 This gives you an idea of the length of articles that get the most shares for your particular keyword. Another incredibly useful option is looking at the breakdown of the topics related to your keyword which drive the most engagement. This tool also provides a list of authors so you can see who is getting the most shares in relation to the topics you are interested in. Feedly is an excellent tool that allows you to collect and read content from all your favorite industry blogs or news sites in one place. You can subscribe to as many RSS feeds as you like, and you can organize the content into relevant categories. Feedly is the easiest way to curate content from your favorite publications for social sharing. You can choose to save posts or share them on your social accounts directly from the Feedly interface. It is available both as Web and mobile application (Android and iOS). SEMrush is a super tool for driving more traffic to your website. It analyzes Google organic and paid search results and produces a detailed analysis to help you evaluate your site and the sites of your competition. For example, you can analyze the keywords your competitor is ranking for, pull their backlinks, view estimated organic traffic they are getting, and conduct a complete competitive analysis. Overall, this is great for competitor research and we use it on a regular basis. You can start with a free version which offers some limited but useful analytics features, and later decide if you want to upgrade to a paid version. If you struggle coming up with content ideas, then you will love this simple tool. 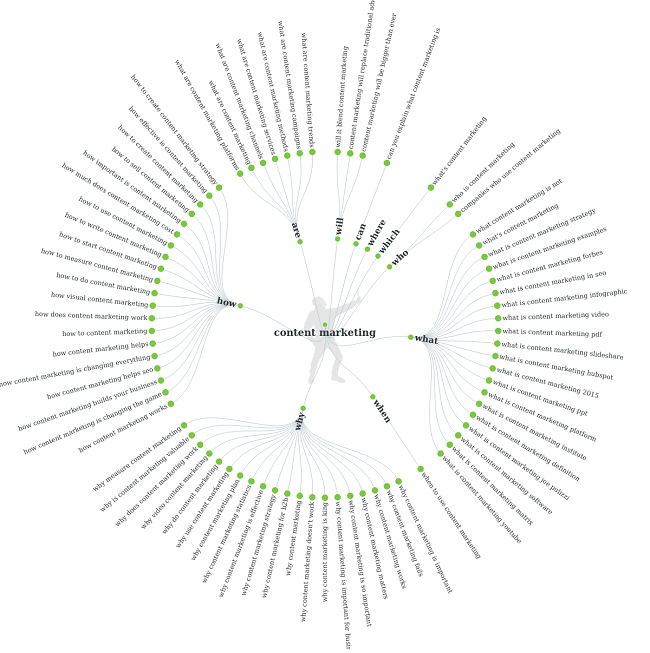 Answer the Public is basically a visual keyword research tool that shows you what people are searching for on Google related to your keyword(s). It is also a free tool. It works on the same principle as Google’s autocomplete, showing the most frequently asked search phrases and questions related to your query. It also separates the questions into “what”, “when,” “how,” etc. buckets. The tool also shows the comparisons people often type into search, for example, content marketing vs. PR. This is very useful for generating new content ideas since you get a visual report of all the things that your target audience is already searching for. Social Warfare is a very popular social sharing WordPress plugin. You can customize the look of your social share buttons with over 5,000 potential style combinations to fit your website. There is a Custom Tweets feature that lets you specify a unique message to share on Twitter. You can also upload a Pinterest-specific image and description, ­add Click­To­Tweet messages, and choose if, and when, you display share counts on the button. Google Keyword Planner is a free keyword research tool accessible through a Google AdWords account only. It can help you find a wide range of keywords and related data that you can use for content marketing and SEO, or for your AdWords campaigns. The tool has some limitations – It enables you to only view exact matches on keywords you are researching (‘broad match’ is not available), plus you can view average searches for keywords but you can’t distinguish between devices. The Google keyword planner provides some good keyword research options. You do need a Google AdWords account but that doesn’t force you to advertise. Ubersuggest is a free keyword research tool that will give you some useful keyword ideas based on the seed keyword you enter. What I like about this tool is that it also gives you a snapshot overview of the most important SEO metrics related to the keyword you entered, including search volume, SEO difficulty, CPC and Paid Difficulty (estimated competition in paid search). Now, when I click on any of the suggested keywords, the tool will show me the top ranking articles for that particular keyword along with my chances for ranking in the top 20! This is incredibly important for informing your content marketing decisions. For the main keyword you enter in Ubersuggest you’ll also get SERP results with some valuable metrics for each of the URL’s, including it’s ranking position, estimated traffic they get for that specific keyword, the number of social shares on the article, as well as the Domain Score. Pocket is the best way to save articles, videos, and links from the web or mobile apps to view at any time. You can open the Pocket app (iOS, Android, Mac and Windows apps available) and view something you’ve already saved even if you’re offline. The nice thing about Pocket is that you can read articles right within the app, without having to go back to the original website. You can also sync the content with your Kobo eReader. The app keeps your favorite resources neatly organized by using tags. It also allows you to share links via Buffer, Facebook, Twitter, and Email. Bonus: Download a PDF list of all the tools in the article. Get the guide now! Scoop.it is an incredible content curation platform that allows you to easily find and share unique, relevant content to your social networks, website or blog. 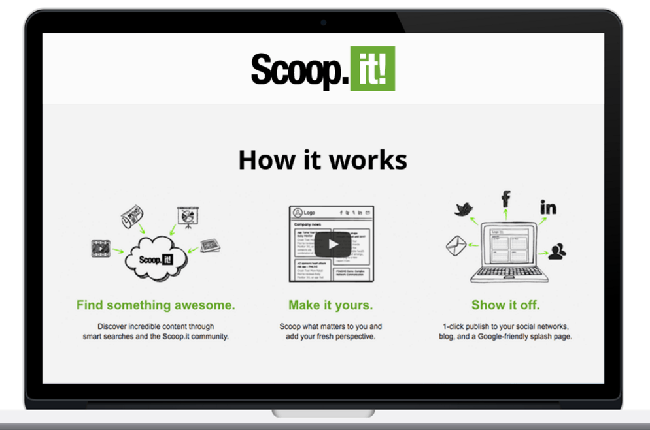 Scoop.it allows you to find content based on the keywords you specify. You can then curate the content, include your commentary and publish to your own topic page. The platform is quite useful if you don’t have time to write content for your website or blog, as it allows you to embed content in your website. Ahrefs is a tool that lets you perform competitive backlinks analysis and keyword research. It is really useful for finding out the quality links your competition is getting, but also for analyzing your own links. You can identify which pages on your website or blog are the most popular e.g. have the best links. The keyword research section of the tools is really useful and provides a large database of keywords including a keyword difficulty score. This tool also makes it very easy to find most popular content on the web for any topic related to your business. The popularity of content is measured by backlinks, organic traffic, and social shares. Ahrefs provides great functionality to help you focus your link building efforts. YoastSEO is a WordPress SEO plugin that helps you easily optimize your website to perform better in search results. It helps you keep your content in line with SEO best practices by providing built-in content analysis, management of Meta tags and keywords, rich snippets, social features, and more. 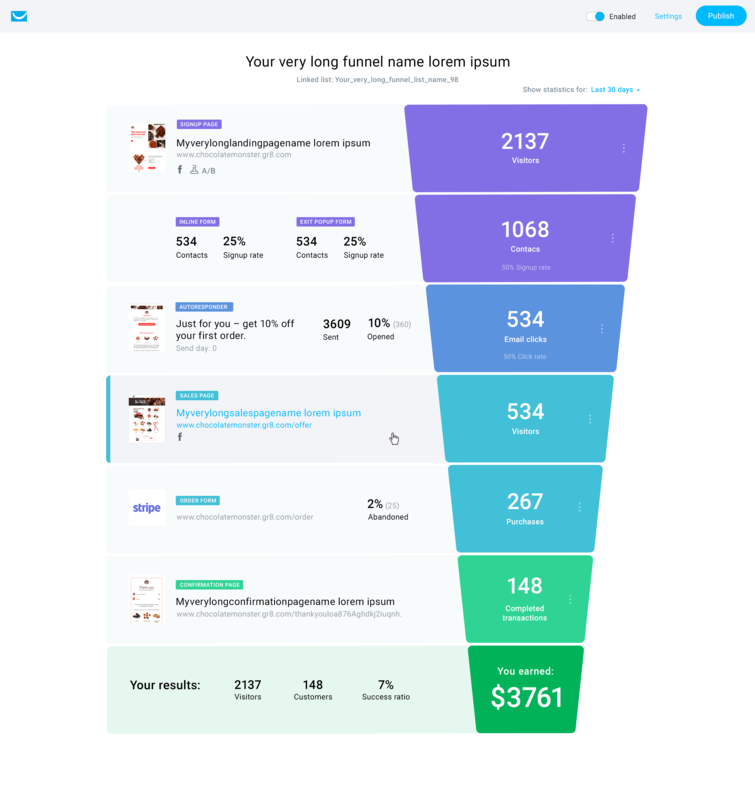 YoastSEO lets you choose a focus keyword and then analyzes the content of your post against that keyword, and gives it an SEO score along with recommendations for improvement. If you’re on WordPress, this is probably the best plugin for optimizing your content for Google. There are many tools that can help you identify, connect and build relationships with relevant influencers. Following are the tools we use to get the most out of our influencer marketing campaigns. GroupHigh is a blogger outreach tool with a database of over 13 million categorized blogs you can search through. The information returned for each blog is very comprehensive – it includes 40 metrics which gives you a ton of valuable information to help you create your shortlist of blogs. It allows you to track your outreach campaigns and report on the results. The tool also records outreach activity history for any particular blog. GroupHigh is a really useful blogger research tool and recently they announced a very attractive low entry price. Traackr is a complete influencer management platform that lets you find influencers and manage all communication with them. 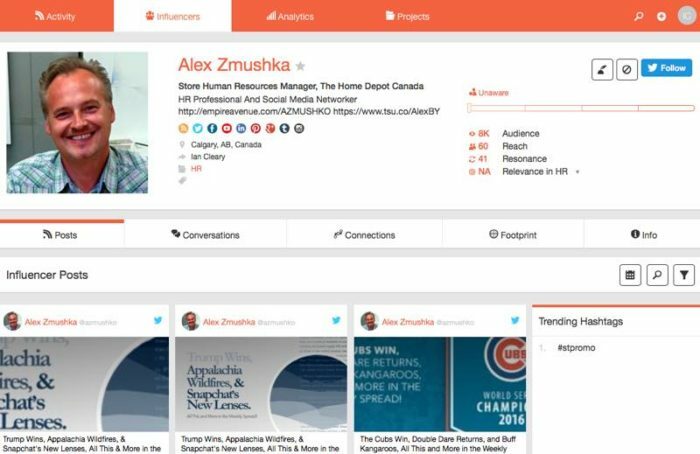 It shows the social media profiles of the influencer, blog posts, conversations, connections, footprint or the size of the profile across multiple sites, and more. 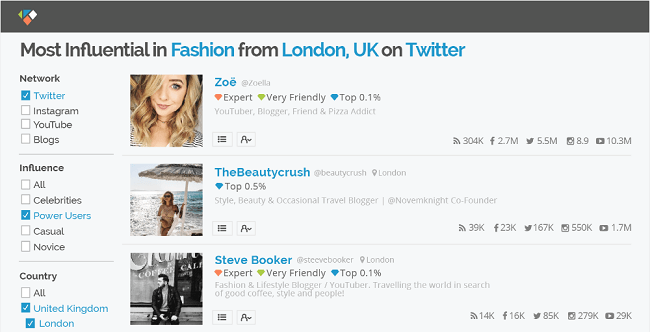 Traackr is great for monitoring the relationship status so you know what stage you are at with each influencer. Klear is a social intelligence platform that analyzes and reports on the social followings of users broken down into over 60,000 categories with over 500 million profiles and 5 years of historical data. This is also a good tool for identifying influencers. Managing social media can be very time-consuming, so we’re going to give you a list of tools to take your social media marketing, monitoring, publishing, and analytics to another level. AdEspresso is a tool for creating Facebook, Instagram and Google ads. 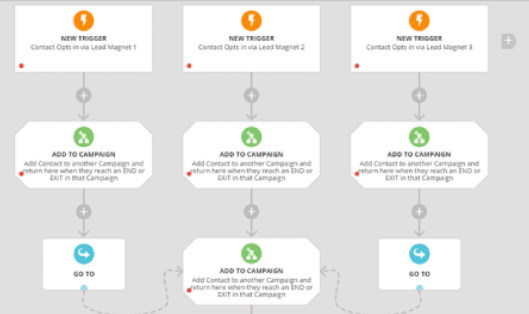 The tool lets you create campaigns quickly by specifying the campaign name and targeting details. When creating your ads with AdEspresso, you can easily set up and test different variations of your ad. The tool can automatically test different images, headlines, ad copy, etc. AgoraPulse is a social media management tool which supports all the major social media platforms, including Facebook, Twitter, Instagram, Google+, and LinkedIn. It allows you to manage social media messages, schedule and share posts, and measure all your activities. AgoraPulse also includes a suite of apps for building engagement with your followers and fans. You can use them to run competitions, quizzes, sweepstakes, etc. Detailed performance analytics report is also available for you to download and customize. Rival IQ is a competitive landscape tool. You set up all the competitors you want to track, and then monitor analytics to see how your marketing compares to the competition. You can compare your performance against your peers across social media, SEO keywords, and website content. 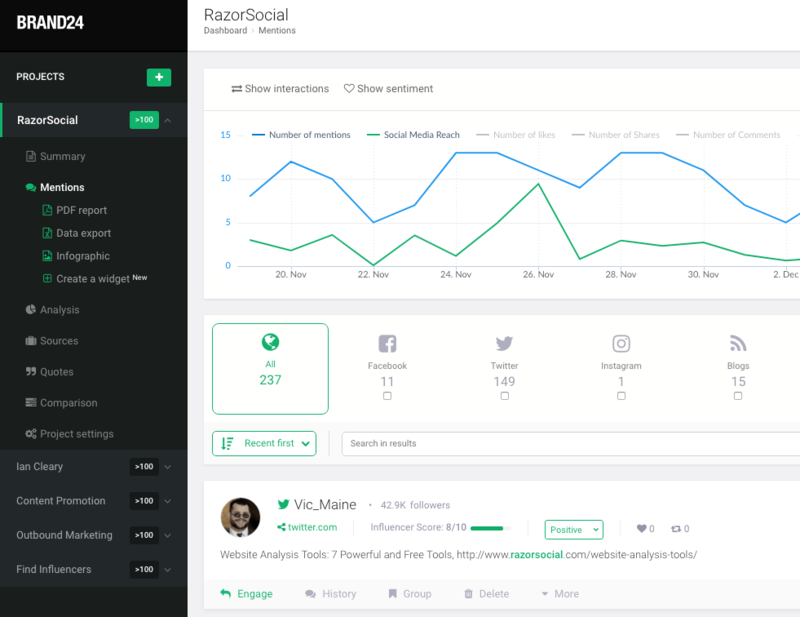 Rival IQ lets you monitor things like your competitors’ follower growth, their best content, the volume of mentions, the organic traffic they get, etc. Rival IQ is useful if you want to track multiple competitors to find out their strengths and weaknesses, their position online, and more. TweetChat provides some useful functionality to help you manage your Twitter chats. It allows you to monitor and interact with a conversation filtered by a hashtag. TweetChat allows you to pause a conversation to give you a chance to respond, block or highlight people in a stream, and remove retweets within a stream. There is also a neat functionality called FavePages that displays all your favorite tweets and categorizes them by date and hashtag. We use this tool for Twitter chats because it contains the necessary functionality and is easy to use. TweetBinder is a really useful application for researching hashtags on Twitter and Instagram. When you search for a hashtag, the tool will return some general stats of the hashtag such as its reach, interaction in terms of likes and comments, users rankings or the people who shared content (most active, popular), and more. If you want to see how often people are using a hashtag, the influencers sharing it, when it’s used etc. this is a useful app. Audiense is a tool for getting more value from Twitter – it provides deep insight into your audiences to help you increase your following and engagement on your Twitter account. It lets you target new followers based on a number of filters you define. It also analyzes your existing followers to suggest best times to tweet for increased reach and engagement. Audiense includes a tool for creating highly targeted Twitter ad campaigns. 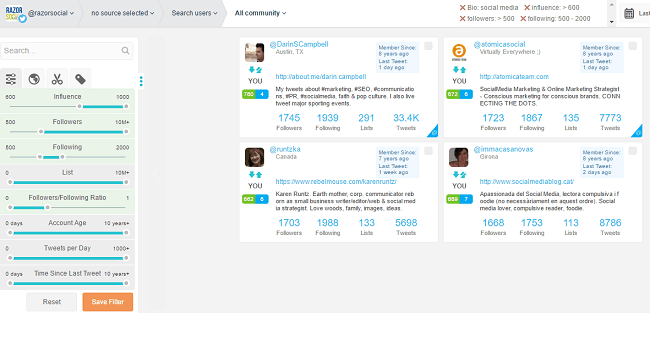 It gives you a detailed overview of your audience’s interests through a feature called Community Insights. There is also a benchmarking feature that lets you compare the performance of your account with similar accounts in your industry. 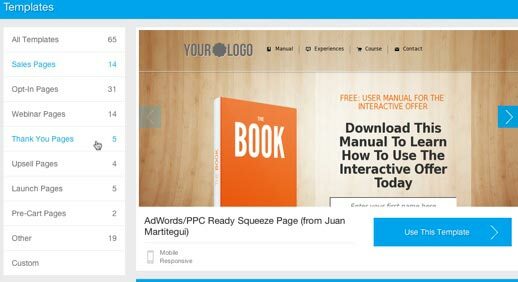 LeadPages is a very popular landing page builder that is also simple to use, so you can create high converting landing pages in minutes. You can choose from a suite of 65 mobile-optimized templates that are proven to convert well. These templates cover a variety of scenarios, including pages for downloading an eBook, signing up for a webinar, etc. You can easily set up split testing and measure conversion on each page. It provides integration with a variety of email marketing and marketing automation providers, including Aweber, Mailchimp, ConstantContact, Ontraport, Infusionsoft, GetResponse, and many others. Thrivecart is a popular shopping cart platform that you can use to quickly create cart pages with professionally designed templates. It allows you to create 1-click upsells, build funnels, perform A/B tests, and much more. Stripe is one of the simplest payment processors to set up. We use Thrivecart for creating our checkout pages and Stripe for collecting the fees. Our marketing automation tool handles all our email communications, but we love to use OptinMonster to generate our subscribers. OptinMonster is a lead generation tool for capturing email addressed and growing your subscriber list. There is a wide range of templates available and the setup is very simple. Split testing is available on all op-tins and it’s easy to test out. If you’re looking to grow your email subscribers, we highly recommend trying out this tool. Having the right visual marketing tools at your disposal will help you create compelling visuals on a consistent basis – even if you are a non-designer. Strong visual content is necessary if you want to better tell stories and keep your audiences engaged in a more impressionable way. It is also one of the best ways to stand out from your competition. Canva is a web-based tool that lets you create stunning visuals for your blogs and social media. Canva offers pre-sized social media images for various platforms, and it is also a good tool for creating images for marketing materials, presentations, ads, infographics, etc. There’s no need to worry if design is not your strong suit – drag and drop editing makes image creation very easy. You can create your image from scratch or choose from a wide variety of background images, stock photos, and designs that Canva provides. If you choose to use your own photos, you can upload them from your computer, Facebook, or Google Drive. Canva simplifies the design process and is perfect for marketers who have the need to consistently create visuals to accompany their social media updates and blog post. Spark is a free graphic design app that lets you create social graphics, web stories, and animated videos. It consists of three main tools — Post, Page, and Video. Spark Post lets you create images with text overlays. It’s easy to use and you can change font style, colors, layouts and image size. Spark Page generates Web page stories from your images, text, and video and allows you to choose from a variety of curated designs. You can use a feature called GlideShow to add motion effect to text and images on your page. Spark Video lets you pick a template for your story and then combine text, icons, images, animations, effects, and audio to create your video. Easil is another great image design tool that comes with a broad selection of fully customizable templates, free-to-use stock images, and drag-and-drop editor. It also features a very cool color palette generator that provides color scheme suggestions. You can use this tool to easily create print marketing materials, social media visuals, infographics, and more. There is a somewhat limited free plan available (no design resizing tool, you can’t upload your own fonts, etc.) and two paid plans that unlock all the features starting at $7.50/month. 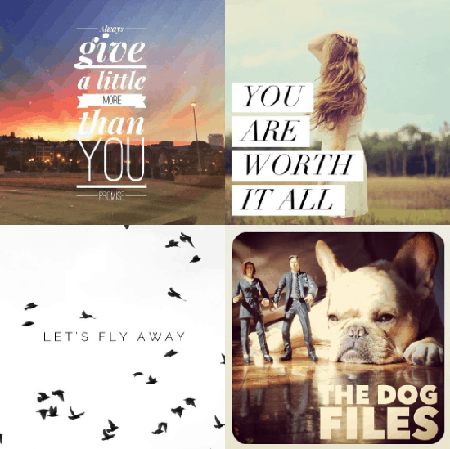 WordSwag lets you create beautiful graphics for Instagram, Twitter, Facebook, Tumblr, and your blog. It has an amazing set of image and typography templates and it lets you create great looking images with text overlay. You can upload photos from your camera roll, take photos from within the app, or choose from a gallery of available images and backgrounds. There’s no better way to bring your digital stories to life than video – both recorded and live! 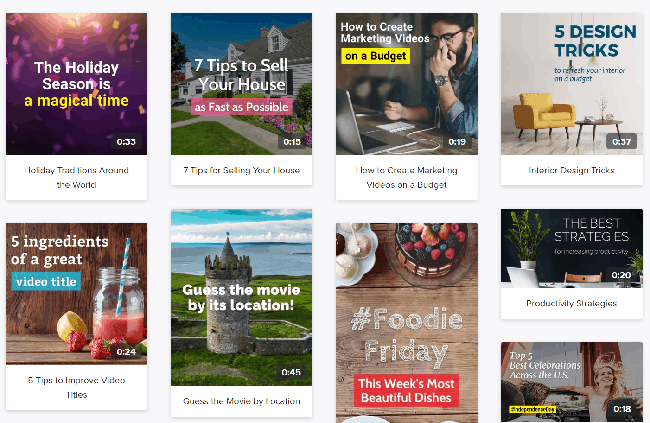 There are many tools out there that you can use to manage your YouTube channel, create animated videos or videos for social media, or to host a live show. The ones we recommend here are either low cost or free and also quite easy to use. TubeBuddy is a browser extension aimed at helping YouTube creators optimize and grow their channels. It’s packed with some amazing functionality that will help you save time, optimize your videos, and keep your audience engaged. TubeBuddy offers a set of tools that you can use straight from the YouTube’s website. You can use the Bulk Processing tools to automate processes such as adding annotations, cards, or descriptions to multiple videos. This can save you A LOT of time! It also offers a number of productivity tools, such as direct Facebook uploads and custom thumbnail generator. 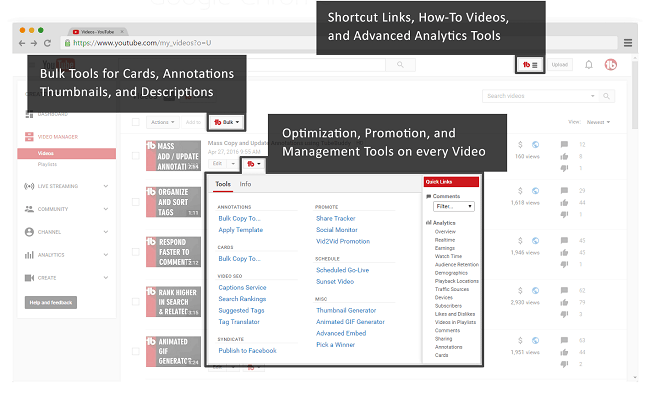 TubeBuddy also comes with a set of very useful SEO tools that can help you improve your video rankings in YouTube search. In addition, if you want to benchmark your channel’s performance against the competition, perform subscriber outreach, or discover the best time to publish videos for your audience – they’ve got you covered! You can start using TubeBuddy for free or go with one of their premium plans for a more feature-rich experience. 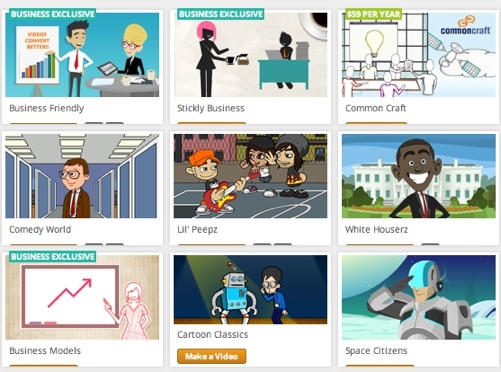 GoAnimate is an online, DIY video animation tool. It lets you create your own animated videos using templates, characters, voice recordings etc. GoAnimate allows you to pick from a library of characters, props, and scenes and then build your video up scene by scene with a drag and drop editor. You can also choose a voice you want to add to your animation or record your own voice. There’s an option to add background music to your scenes. This can be your own music or you can choose it from a library. When you’re finished, you can export high-definition videos that you can then embed on your blog or upload to YouTube. GoAnimate is a cost-effective, easy-to-use tool and it’s also a lot of fun to play with. Wave.video is an easy to use online tool for creating social media videos. It encompasses all the features you may need to create professional quality videos that people will love to watch and share on social. In Wave.video you can browse through a huge library of stock video clips which are neatly organized in categories, such as Business, Technology, Travel, etc., to find just the right clips for your video. This makes video creation for social media so much faster and easier. You can then preview each of the clips before choosing to add them to your video. Wave.video also lets you upload your own content (photos, video, audio files) and then combine it with Wave.video clips to create unique branded videos. The drag-and-drop style editor lets you trim the video, zoom in and out, and add text to your video. When adding text you can choose from a variety of available fonts, colors, and effects. Wave.video also features some advanced audio editing options – you can cut your audio, add multiple tracks or your own audio content, or even record your voice and add it to the video. What’s also important for every marketer is that this tool allows you to include a Call to Action at the end of the video together with your company logo. OBS is a tool for live streaming that allows you to live stream to Facebook Live (other platforms are supported also). What’s great about it is that it’s free (! ), but also the extra functionality you can have with it. For example, you can display your logo while you’re live streaming or a nice banner image. You can easily swap between live and recorded videos, and much more. Wirecast is a tool for live streaming to Facebook and other platforms. It has more functionality that OBS but it’s a paid for tool. Read this post on live streaming to find out about the tools to use (e.g. microphones, mixers, etc.) – Live streaming tools. ScreenFlow is a great tool for creating, editing and producing videos on your MAC. If you’re on a PC – use Camtasia. 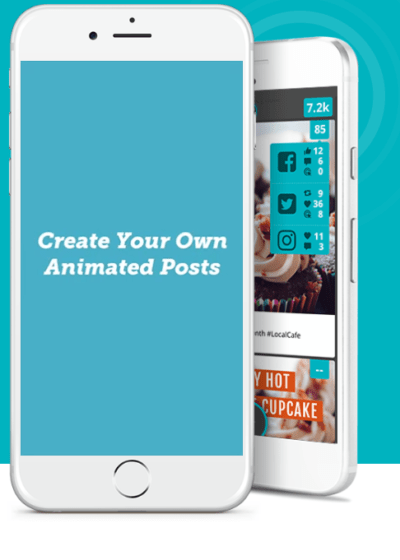 Ripl allows you to create animated social media posts from a series of images using one of their templates. You can also add sound to the video – upload your own music or choose from the Ripl music library. Drift is a ‘conversational marketing’ platform that helps you capture and convert leads on your website and mobile app. It offers a Messaging application that enables you to talk to and interact with visitors and customers in real-time. You can use it for live chat on your website, in-app messages, or email support. The way it works is that it lets you send targeted messages to visitors based on the criteria you specify, for example, if a user visited your Demo page more than once. What’s really great about Drift is that they also provide LeadBot – a chatbot that will automatically engage visitors to qualify leads or book meetings with your sales reps. Drift does provide a free plan (suitable for individual website owners) but it provides very limited functionality giving you only a glimpse into the possibilities of this tool. For more advanced features, like chatbots and CRM integration, you’d have to go for the Pro plan or up, with prices starting at $500/month. GTmetrix is a free tool that analyzes your website’s speed by checking both PageSpeed and YSlow metrics. It also suggests dozens of different ways to improve your website speed performance. The basic functionality of GTMetrix is free and you can analyze the speed of your website right from the service’s homepage. The results overview shows you the browser and location used for testing, PageSpeed and YSlow scores, page load time, the number of requests and total page size. 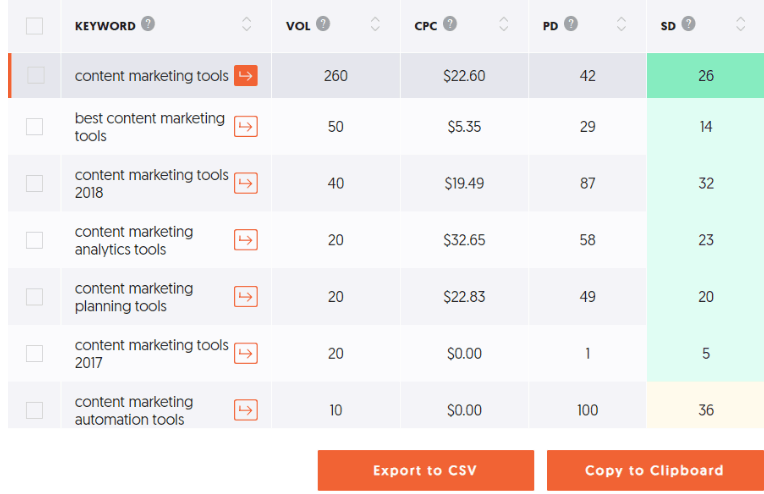 There you have it — a pretty exhaustive list of all the digital marketing tools we’re using. We’re seeing great results with these tools but I have to say that they wouldn’t mean much if we didn’t have a rock solid marketing strategy. So make sure to have your strategy all sorted first and then support it with the best marketing tools you can find.